1. Build time off into his contract and schedule. Your pastor needs time off in order to relieve the unseen emotional stresses of his work as a laborer in crafting souls. His contract should reflect this in vacation time, study leave, personal days off, and sabbaticals. The governing or ruling board of an assembly should work to make sure the pastor uses his time off every year. Often the distress points for an overworked pastor find their locale in his home life and make for a stressful life for his family. 2. Budget annually for competent pulpit supply for him. A church should not expect a faithful pastor to preach more than 80% of the weekly sermons in the course of a year, (75% would be even better). Pastors need 20%-25% of their Sundays off from preaching so that they can do the additional study in preparing ahead for sermons and the general pastoral leading and deepening of the congregation. Pastors who are faithful in their preaching sometimes (inadvertently) borrow this 20%-25% from their families because their families are gracious to allow them to do so. But their families and marriages pay a toll for the borrowing. With very little cost to a church's annual budget, funds for supply preachers can be available so that the pastor can have breaks from the pulpit. Seminary and Bible college faculty and students often are seeking pulpit supply opportunities. 3. Send him and his wife to a marriage retreat annually. 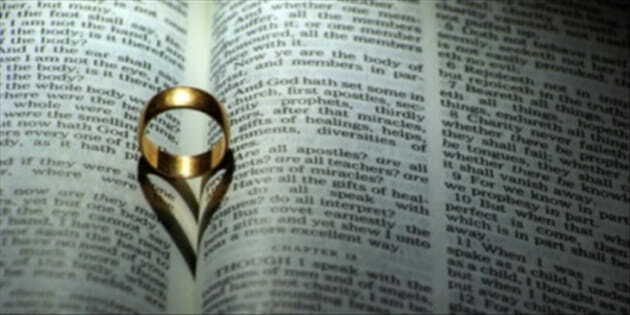 Many parachurch marriage retreats have special tracks and resources specifically for the marriages of shepherds and their spouses. These retreats recognize the unique pressures pastors face. The general sessions often serve as good reminders of the original marriage joy—the joy before congregational pressures. A wise church would be intentional about seeing that its pastor gets to give focused attention to his marriage apart from church duties. Finding this to be wisdom, the church where I served in Texas paid for its pastoral staff's registration to one retreat per year. 4. Provide mature women to counsel other women in the congregation. Even with every Biblical and modern precaution in place, when a woman comes alone for counseling to her pastor, it creates a dangerous scenario for sexual temptation. This scenario might be avoided if spiritually mature women in a congregation would take up the mantle to make friends with and disciple other women in the church. In some cases, a church will staff someone over women's counseling for this task. In other places women's small group leaders can provide this ministry. Still other churches will utilize gifted women's Sunday School teachers and/or deaconesses. The pastor then can give his attention to men and couples without the lure of sexual temptation. 5. Ask your elders to make it their responsibility to ask him and his wife about their marriage. Those who help a church's pastor lead the congregation should themselves have strong marriages. As they will stand in account with the pastor for the souls of the congregation (Hebrews 13:17), it would be prudent of them to encourage the health of the pastor's marriage. An act of formative discipline in this area might consist of routinely asking the pastor and his wife about their marriage. 6. Pray for his family daily. Ultimately the pastor needs the powerful working of the Lord's grace in his marriage. Every member of a congregation should pray daily for the Lord's love, mercy, grace, joy, holiness, and peace to be upon their pastor's marriage and family abundantly. The benefits will come to the lives of the congregation through their shepherd's message, model, and morale. Eric C. Redmond, a former pastor and professor of Biblical Studies, is Bible Professor in Residence at New Canaan Baptist Church, Washington, DC. Follow Eric at his blog, a man from issachar, and on Twitter @ericcredmond.